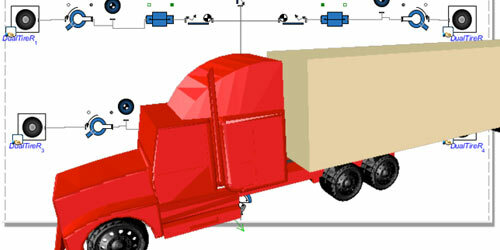 High performance physical modeling and simulation increases efficiency and productivity in vehicle design. 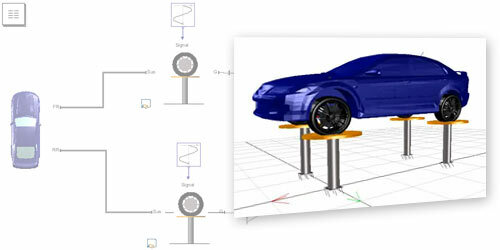 Maplesoft specializes in the modeling, simulation, and optimization of complex systems, such as vehicle chassis, suspension, and tires. 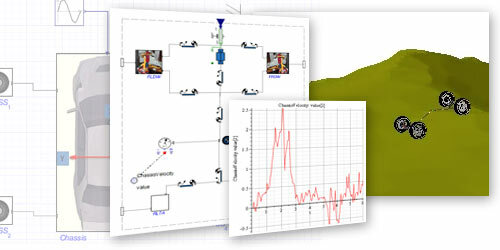 You can use virtual models to investigate vehicle ride and handling under different road conditions and driving maneuvers, develop vehicle dynamic control systems, and produce simulation code for hardware-in-the-loop testing and for use within a driving simulator. Maplesoft Engineering Solutions provide you with the expertise and tools you need to reduce development risk and bring high-quality products to market faster. 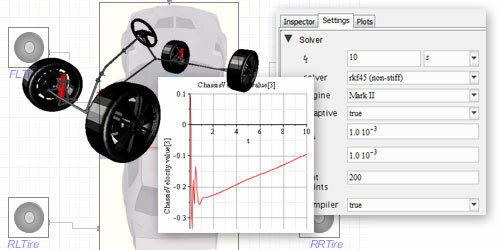 With the MapleSim Tire Library, engineers can extend their high-fidelity, multi-domain MapleSim vehicle models with high-performance pneumatic tire components.